How to approach Backlink by commenting, of course, many are sought after by all bloggers, but this backlink is of course not a quality backlink, because Google itself has taken this into account. 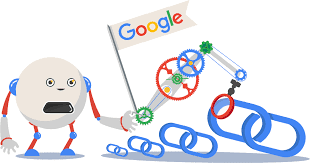 but there is nothing wrong we try with this trick, actually to get the best quality links is by link building, but lately google responds very seriously with the name link building, many ways to build links but sometimes we are not yet know the trick. 1. FIND BLOGS WHICH HAVE HAD A NICE REPUTATION. Even if Backlinks are not good but if we apply it will certainly produce good results, by commenting on good quality blogs one of them, look for a blog or website that has a message if you cannot search for blogs with high rankings we can use other alternatives by commenting on blogs are many visitors, why are we looking for a busy blog, of course with a busy blog if we comment who knows we get the impact, because visitors will always see our comments, it is not impossible that visitors will see our blog. but and but for now to comment on a good blog, it is very difficult because the comment board is usually held, this is our obstacle to getting backlinks from comments, but do not despair, I'm sure we will get it if you are patient. This point is sometimes considered very trivial by the commentary, why do I say trivially the many cases that I see the commentary writing carelessly without looking at the article and reading it, whether or not this element is intentional or not, examples of comments that are not readable like this "SIP GAN FIRSTX" I am very sure that the commentary did not read what was written, because the article I read was about venturing to a woman who was saddened by her boyfriend, then what was Pertamax what? certainly very contrary to relevance, fortunately those who have a blog do not delete the comment. so from now on we think far for the future, blogging is not for a moment but we think long term. The point is try to fix it to make a good and relevant comment to get a backlink, that's my point. Why do I suggest with an open ID comment? because with this open ID facility the URL or link is automatically embedded in this comment board. and this is one strategy for creating backlinks. but the link isn't dofollow? 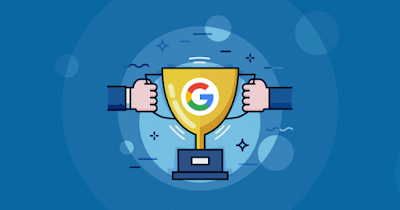 we don't expect more, even though the link is not dofollow if the visitor clicks on the link that goes to our blog at least 5 times this has been calculated by Google if it is a backlink. for how to comment with open id, please browse alone ... I don't discuss this. The conclusion is that all of this to get backlinks is actually a lot of ways but what needs to be asked of ourselves is what we want or not, active or not to make the backlink itself, building backlinks is not as difficult as we imagine, but with consistency and optimism I'm sure what we will get what we have done, the results of all this as working hard, of course, will get a reward that is worth the work we do. I hope this article I wrote will benefit us.